The Real Estate and Housing Developers' Association Malaysia (Rehda), however, does not think this will lead to a property glut. "In Malaysia, there are very few investment portfolios that one can hold. Besides stocks and bonds, the other alternative is property and one can never go wrong on that," Rehda president Datuk Michael Yam Kong Choy claimed. Rehda is optimistic that property prices will pick up in the second half of this year and 2012, given the positive outlook of the Malaysian economy. Yam said the property sector has a direct correlation to the economic condition as demand for properties increases during a booming economy. "Unless there is a serious financial crisis, I see steady uptake in properties," he told reporters after Rehda's first half 2011 property update yesterday. On building materials cost, Yam said prices of items, such as bricks, steel, cement and sand, which are major construction components, have increased to 89 per cent from 32 per cent within eight years. Yam said developers these days can only afford a net margin of about 5 per cent to 10 per cent because of high cost of building materials. "Look at SP Setia Bhd, one of the biggest developers in Malaysia with a market capitalisation of nearly RM7 billion, but made only around RM250 million in net profit last year. There are other businesses which make much more than property developers," Yam said. The high cost of building materials and land prices and the shortage of labour will continue to be the main challenges faced by property developers in Malaysia, he added. On the trend moving forward, Yam said popularity of properties in the vicinity of transport modes will be more desirable and those looking for landed properties would be more willing to move further out from city centre areas. In the last 12 months, companies such as SP Setia and UEM Land Holdings Bhd have been buying land in Ulu Langat, Selangor, in anticipation of demand for properties in the area. KUALA LUMPUR: The Real Estate and Housing Developers' Association Malaysia (Rehda) is “cautiously optimistic” of the housing market outlook in the first half of next year despite a marked increase in building material and labour costs as well as a slowdown in economic activity. A Rehda survey found that 41% of the developers who responded were optimistic of the first six months of 2012 compared with the second half of this year, where 48% said they were optimistic. Most respondents in the survey said prices would likely rise by up to 20% in the second half of this year, with 47% of respondents planning to increase selling prices by at least 15%. The survey showed that launches in the period were equally split between strata-titled and landed properties. Speakers at the Rehda update on the property market for the first half of the year said a number of factors, including government policies and the overall volatility of global capital markets, made developers cautious of the outlook. The briefing also included the participation of RAM Holdings Bhd group chief economist Yeah Kim Leng, who gave an overall view of the global and local economies. Rehda president Datuk Seri Michael Yam said the industry was concerned about how the local economy would be affected by external forces including the pressure on the sovereign debt ratings of Malaysia's developed market trading partners. He said there were also concerns about the proposal to assess housing loans based on net income rather than gross income. “We appeal to the Government not to tinker too much with regulations concerning the industry as this will cause more uncertainty,” Yam said. Rehda KL chairman N.K. Tong said the more cautious outlook could be due to the timing as developers could not tell that far ahead how the property market would be performing. “There's more uncertainty, so the respondents are not as optimistic compared with the second half of 2011, with the percentage of those who responded they were neutral on the outlook for the first half of 2012 rising to 39%,” he said. Yam said that based on the survey findings, property launches of the second half of the year so far remained “business as usual” compared with the first half of the year where launches continued to be healthy with encouraging demand. “Property prices have been rising partly due to the roll-out of Economic Transformation Programme projects,” he said, adding that the costs of building materials and labour continued to be major challenges for the industry. Yam said although the 70% loan-to-value ratio for a third residential property purchase had had minimal impact, it was now taking from nine to 12 months to sell up to 70% of launched properties compared with before the imposition of the ruling. Meanwhile, Yeah said that despite the evidence of weaker forward economic indicators, the economy was facing a slowdown and not a recession. “However, this is on a baseline assumption that there will be no synchronised slowdown in the developed economies. If only one or two regions face a slowdown then the local economy will be able to sustain growth at the lower end of the Government's 5%-6% target,” he said. Yeah said there would likely be more volatile fluctuations in the commodities and capital markets. “It will be prudent to factor into corporate planning that growth in the developed economies will be slow in the next three to five years while Asian economies will still be growing although growth have been revised downwards,” he added. Yeah said that while banks had not tightened sufficiently in lending, there were expectations that they would be more selective going forward. “A few indicators suggest that we're still relatively resilient in terms of consumption with non-residential loans still very strong,” he said. Yeah said rising household debt levels remained a concern as it could expose households to further shocks and systemic problems. KUALA LUMPUR: The Economic Transformation Programme (ETP) is expected to drive foreign direct investments (FDI) that would in turn spur expatriate demand for high-end houses. The Real Estate and Housing Developers' Association Malaysia (Rehda) president Datuk Seri Michael Yam Kong Choy said expats now account for 4 per cent of the total housing stock of four million in Malaysia. "While the figure looks small, it has been growing in the past few years. We are not an investment destination for foreigners, but we have been able to attract large groups from Europe and Asia Pacific," Yam said yesterday. Yam said the ETP projects and the Greater Kuala Lumpur/Klang Valley development plan will raise Malaysia's profile. "Hopefully the government will roll out ETP projects quickly, so that more expats will come in and buy the high-end properties. This will augur well for the property market and the economy," he said. Meanwhile, RAM Holdings Bhd chief economist Dr Yeah Kim Leng said there is a need for a bold policy to stimulate private investment as there were complaints about the restrictive business operating environment. He said that investment, though below expectation in the first half of 2011, is expected to increase in the second half of the year and in 2012 as a result of more focused efforts by the government. "We expect monetary tightening to continue at a gradual pace despite easing consumer and asset price pressures, particularly for several property segments in selected locations and surplus liquidity in the financial system. "Selective macro-prudential measures targeted at averting the build-up of credit and asset bubbles would continue at a prudent pace," Yeah said. Yeah added that further tightening measures may be kept on hold for the rest of the year to brace for global uncertainties. KUDOS should be given to Bandar Raya Developments Bhd (BRDB) for taking heed and acting on concerns raised by analysts, the media and the Minority Shareholder Watchdog Group. Its board has decided to withdraw the proposal to sell its prized assets to its major shareholder and has instead opted for an open tender exercise. That's exactly what some quarters had been calling for. And that seems to be what BRDB is delivering. It has also called on Ambang Sehati Sdn Bhd, the investment vehicle of BRDB chairman Datuk Mohamed Moiz Jabir Mohamed Ali Moiz, which had proposed to buy the assets, to take part in that tender exercise. Ambang Sehati owns 18.88% in BRDB. It will be interesting to see if there will be bids that top the RM914mil price tag that had been offered by Ambang Sehati for BRDB's Bangsar Shopping Centre, Menara BRDB, the CapSquare Retail Centre and the Permas Jusco Mall. If there are no bids that match what Ambang Sehati has offered, then it may seem like there was much ado about nothing. But if bids exceeded what was offered, then minority shareholders can rest assured that their company's board has done the right thing. BRDB's board has also given the assurance that an independent international property valuation firm will be appointed to manage the tender exercise. True, the question still arises as to why BRDB didn't have an open tender exercise for its assets in the first place. But some credit should be due to BRDB for ultimately making the right decision. What is still troubling in BRDB's case is the uncertainty surrounding the identity of the 23.6% block of shares, currently held under a nominee account by Credit Suisse. This block of shares will hold a lot of voting influence over any deal to sell the company's assets, and yet no one seems to know who the beneficial owner is. Again, BRDB has done the right thing by writing to the relevant nominee companies for details of their shareholdings, albeit later than expected. PETALING JAYA: In a surprise development, Bandar Raya Developments Bhd (BRDB) has ceased all negotiations to sell its prized assets to its major shareholder, Ambang Sehati Sdn Bhd, and is now opting instead to dispose of them via an open tender. BRDB said following the meeting, both it and Ambang Sehati had mutually agreed to call off the latter's offer to acquire BR Property Holdings Sdn Bhd, which owns Bangsar Shopping Centre, Menara BRDB, CapSquare Retail Centre and Permas Jusco Mall, for a sum of RM914mil. However, Ambang Sehati will be invited to participate in the tender. Ambang Sehati is the investment vehicle of BRDB chairman Datuk Moiz Jabir Mohamed Ali Moiz as well as BRDB's major shareholder with 18.88%. BRDB also said it had decided to appoint an independent international property valuation firm to manage the tender exercise, adding that an announcement on the tender would be made at an appropriate time. In a statement, BRDB CEO Datuk Jagan Sabapathy said: “The board remains convinced that our earlier decision to accept the offer as well as the option not to conduct an open tender exercise was fair and appropriate at that time. However, the board has subsequent to its announcement of acceptance of Ambang Sehati's offer on Sept 19, received expressions of interest from credible parties for the four assets. The proposed sale of BR Property, which was announced last Monday, has drawn much public interest over several issues including the valuation of the four assets and the crucial 23.6% block of shares in BRDB held in a nominee account by Credit Suisse. The 23.6% block is said to be quite influential in deciding if the deal goes through, as explained by the Minority Shareholder Watchdog Group. This is based on the assumption that the block amounts to 30% of total disinterested shareholders of BRDB and may comprise 50% of votes of shareholders who actually turn up to vote on the matter, which requires only a simple majority to be passed. The identity of the beneficial owners of the 23.6% block in BRDB is not yet known, but the company had told StarBiz prior to its announcement to Bursa Malaysia that it was in the process of ascertaining this. “We are attending to the query by Bursa Malaysia and will be writing to the relevant nominee companies for details of their shareholdings,” a BRDB company official said. Under Section 69(0)(8) of the Companies Act, Bursa and the Securities Commission have the power to direct companies to disclose the identity of the beneficial shareholders of substantial blocks of shares in the company. Section 69 also empowers the affected issuer itself, meaning BRDB, to request for details on the beneficial owners from a trustee, which is Credit Suisse. While Bursa Malaysia has yet to clearly state if it has invoked this power, reliable sources told StarBiz last week that the exchange had queried BDRB on this issue. 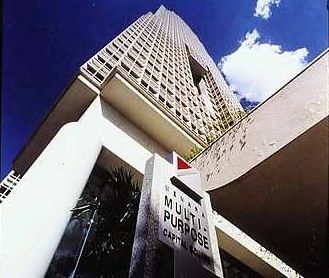 PETALING JAYA: The Menara Multi-Purpose office tower in Kuala Lumpur will be sold to the MCA for RM375mil cash. In a filing with Bursa Malaysia, Multi-Purpose Holdings Bhd (MPHB) said it had entered into a sale and purchase agreement with MCA for the sale of the 17-year-old office tower together with 414 car park bays within the Capital Square development. The office tower has a total net lettable area of 541,424 sq ft, and is 99% occupied with a rental income of RM2.1mil per month as of July. The net book value of the office tower and car park bays was RM175.4mil as of Dec 31, 2010, based on the audited financial statements of MPHB. However, a valuation by Henry Butcher Malaysia Sdn Bhd on April 20 deemed the office tower and car park bays to have a market value of RM384mil. MPHB said its original cost of investment in the office tower from 1993 till 1996 and car park bays in 2004 was RM289mil. Proceeds from the sale, which is due to be completed by the end of this year, will be utilised to repay MPHB's bank borrowings. MPHB said the rationale for the sale was part of the group's asset rationalisation exercise to dispose of its non-core assets. The group's gearing would drop to 0.88 times from 1.1 times (as of April 28) after the sale is completed. KUALA LUMPUR: The Malaysian Chinese Association (MCA) has closed the deal on the Menara Multi Purpose for RM375 million, just in time to celebrate the purchase with its delegates at its AGM this weekend. In an announcement to Bursa Malaysia yesterday, Multi-Purpose Holdings Bhd (MPHB) said it has disposed of Menara Multi Purpose together with 414 car park bays free from encumbrances. The company is expected to gain RM199.6 million from this disposal and will use the proceeds to repay its borrowings. “The proposed disposal forms part of the group’s asset rationalisation exercise to dispose of its non-core assets. The proposed disposal is expected to improve the gearing of the group as the sale proceeds will be utilised to pay down the company’s bank borrowings,” MPHB noted. After the proposed disposal, MPHB’s net asset will improve to RM2.02 from RM1.88 as at April 28, 2011 while net gearing will improve to 0.88 times from 1.1 times in the same period. MPHB’s original investment in the property amounted to RM289.02 million while it was last valued in April 2011 by Henry Butcher Malaysia Sdn Bhd at RM384 million. The net book value of the property as at Dec 31, 2010 is at RM175.3 million. The 17-year-old freehold building has 99.07% occupancy with monthly rental income of RM2.09 million (gross rental per month ranges from RM4.25 per sq ft for upper floors to RM10.95 psf for lower floors), which will allow MCA to earn a steady recurring income. The Edge had on Aug 15 reported that MCA was keen to acquire the 43-storey grade-A office block, which is located near Kuala Lumpur’s Jalan Dang Wangi. A source had revealed that the parties were in talks and the purchase price ranged from RM350 million to RM400 million. With regular dividend from Star Publications (M) Bhd, MCA would be able to finance the acquisition. Star’s dividend has been no less than 20 sen since FY2002 ended Dec 31. FY2010 was the record dividend payment year when Star declared 63.1 sen dividend per share. Being the largest shareholder of Star, Huaren Holdings Sdn Bhd, the investment arm of MCA, had been the main beneficiary of the generous dividend payment. Calculations based on the dividend returns over the years show that Huaren received about RM373 million in dividends form Star between 1997 and 2009. Last November, shortly before the special dividend payment at month-end, Huaren ceased to be the major shareholder of Star. Filings with Bursa Malaysia showed that Huaren had disposed of 313.3 million shares or 42.4% stake in Star to MCA on Nov 4, 2010. With the share purchase, MCA’s portion of dividends declared by Star last year would amount to RM126 million. According to MPHB, MCA is expected to make payment in two tranches of RM87.5 million and RM250 million within 30 and 90 days respectively of the sale and purchase agreement (SPA) date yesterday. Payment of RM7.5 million and RM30 million will be paid earlier as earnest deposit and upon the execution of the SPA respectively. The proposed disposal is expected to conclude by year-end. KULIM: Tune Hotels aims to have a network of 100 hotels in Malaysia and overseas by 2015, says its chief executive officer, Mark Lankester. He said the company would invest between US$5mil and US$15mil in a hotel with 150 rooms and above. Lankester said next year, Tune Hotels planned to open 25 to 30 hotels internationally, including five in Indonesia, Thailand and Phillipines respectively, besides four or five hotels in Malaysia. "Currently, we have 13 hotels, including two in Bali, Indonesia and one in England. "In Malaysia, we have hotels in Kuala Lumpur, Kota Kinabalu, Kuching, KLIA-LCCT Airport, Penang, Johor Bahru, Kota Damansara, Bintulu, Kota Bharu and now Kulim," he told reporters after the opening of Tune Hotel Kulim, located near Kulim Landmark Central, here today. Kulim Municipal Council president, Mohd Zohdi Saad, opened the hotel. Lankester said Tune Hotel Kulim was its second hotel in northern region after Penang and the first in Kedah. "We have always said that within Malaysia we want to provide the most complete coverage for travellers and businesses and the opening of Tune Hotel Kulim is a further step in that direction," he said. Lancaster said Tune Hotel has pioneered a branded value hotel brand with the concept of pay-as-you use that has become hugely popular among travellers from across the world. "Under the concept, guests only pay for room rates with the option of adding on other amenities like towels and toiletries, air-conditioning, in-room WIFI and satellite TV service and selected hotels," he said. In conjunction with the recent Merdeka and Malaysia Day celebrations, Tune Hotels is currently running a special promotion with rooms in Malaysia on offer from as low as RM1 per night while those in Bali RP10,000 per night. The promotional rates are available on a first-come first-served basis, for stay period from June 1, 2012 to Aug 31, 2012. Booking ends on Sept 30.